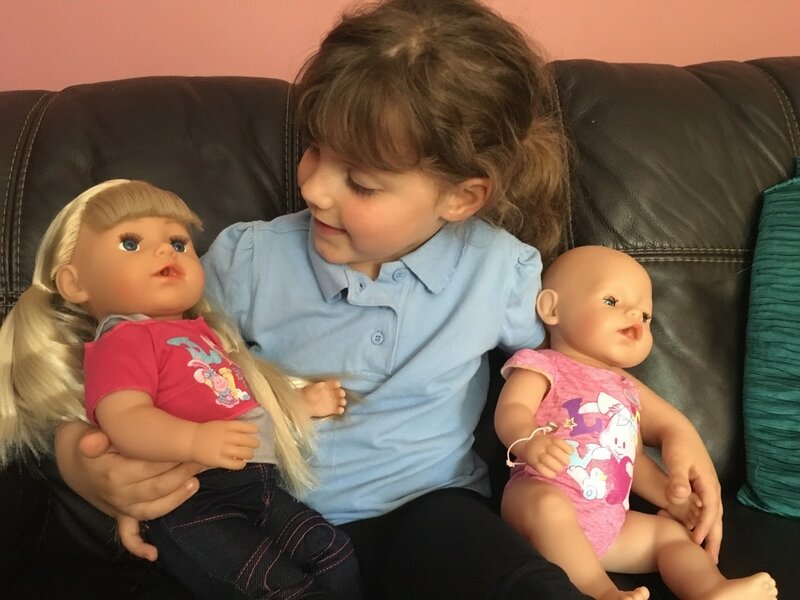 After the success of the Baby Born interactive doll we were sent recently would my Daughter be as enthusiastic about reviewing the more grown up Baby Born Interactive Sister doll? And which would she prefer? 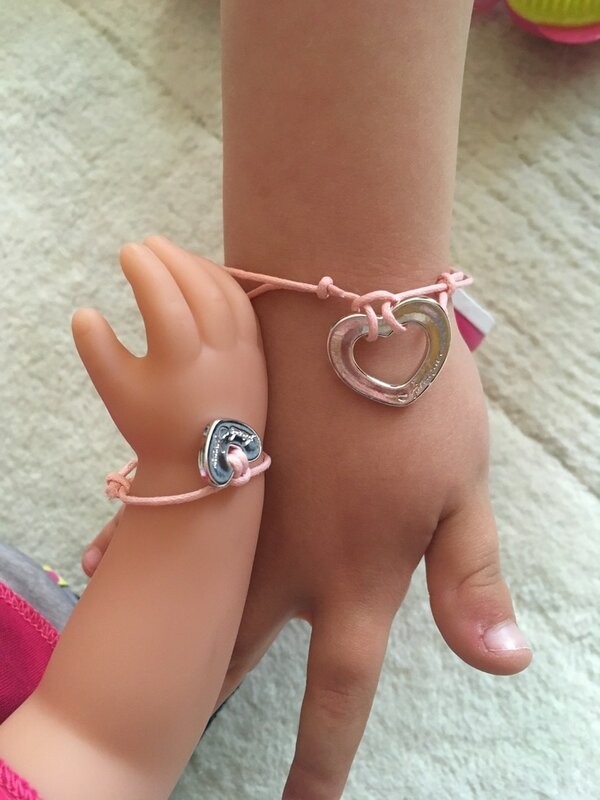 The older Baby Born Sister is the same size as Baby Born so they can share clothes and accessories and she’s suitable for ages 4 years and over. 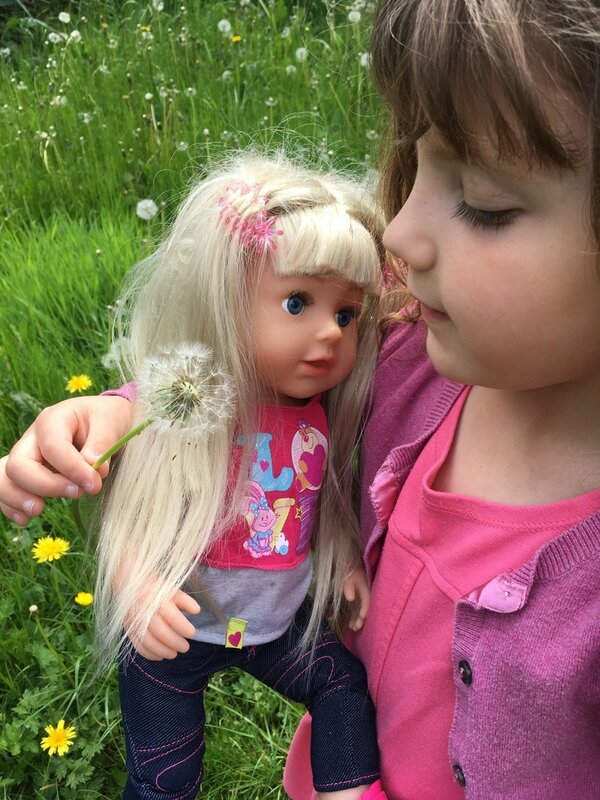 The interactive sister doll like her sibling comes with a few accessories – matching friendship bracelets, hair clips, hair brush, hair bobbles, water bottle and she doesn’t need batteries. She can also drink and cry and can be bathed. She has flexible knee, leg and shoulder joints and comes dressed in a cute jeans and t-shirt outfit. I wouldn’t mind a pair of those jeans myself! 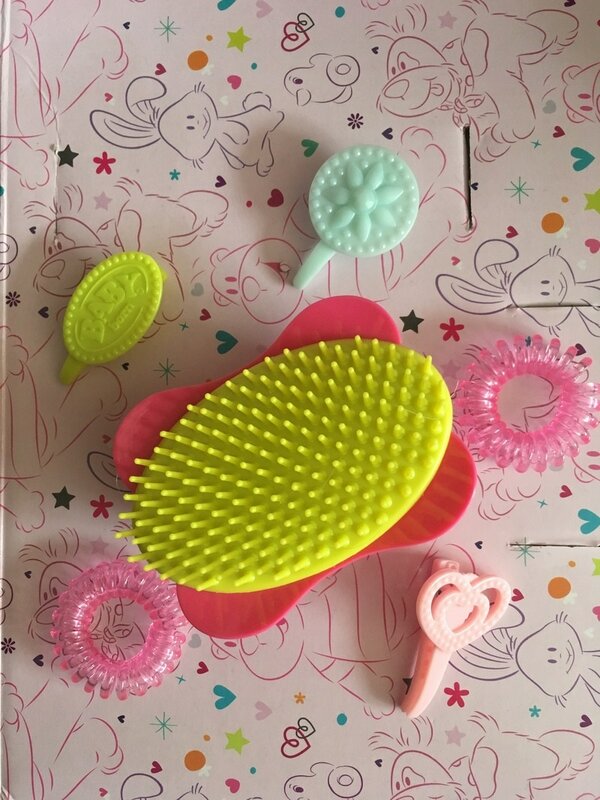 She also has lovely swishy doll hair that can be styled and brushed with the hairbrush and clips that come in the box. Our original Baby Born doll was brought downstairs for the box opening and my Daughter 6, squealed as we got her out of the box, the dolls apparently needed a chat. Again she was keen to play with the doll making sure that this one wouldn’t pee on her! This doll can drink and cry but doesn’t need to use the potty. 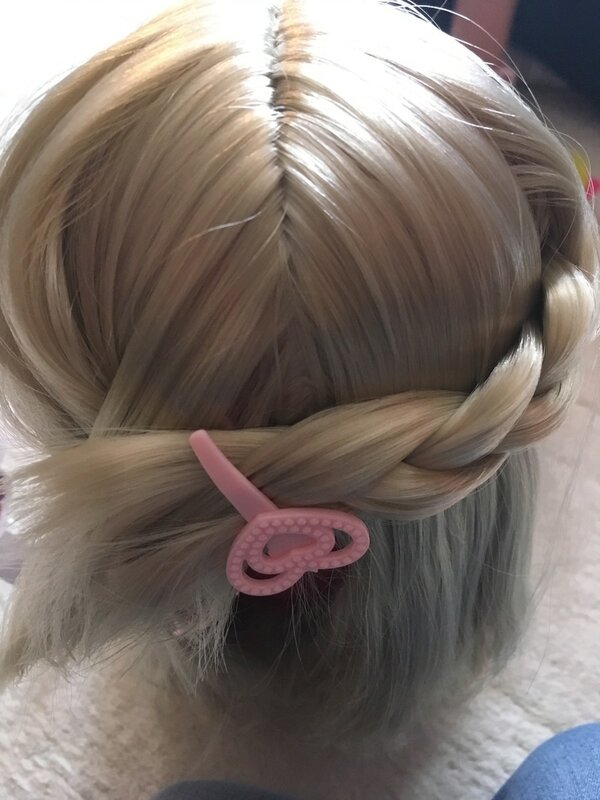 My Daughter loves playing with hair and set about styling the dolls hair who she has decided to call Violet. 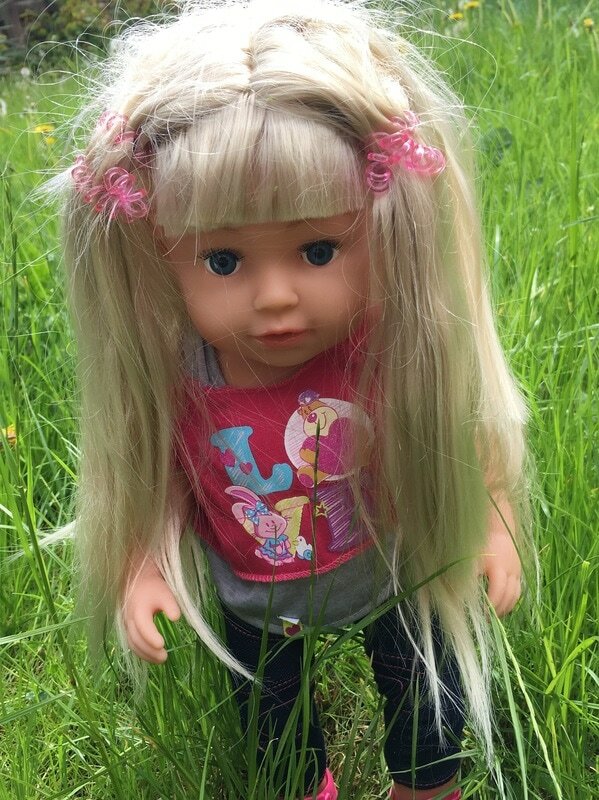 The dolls hair is lovely but I’m not sure how long it will stay lovely and swishy. 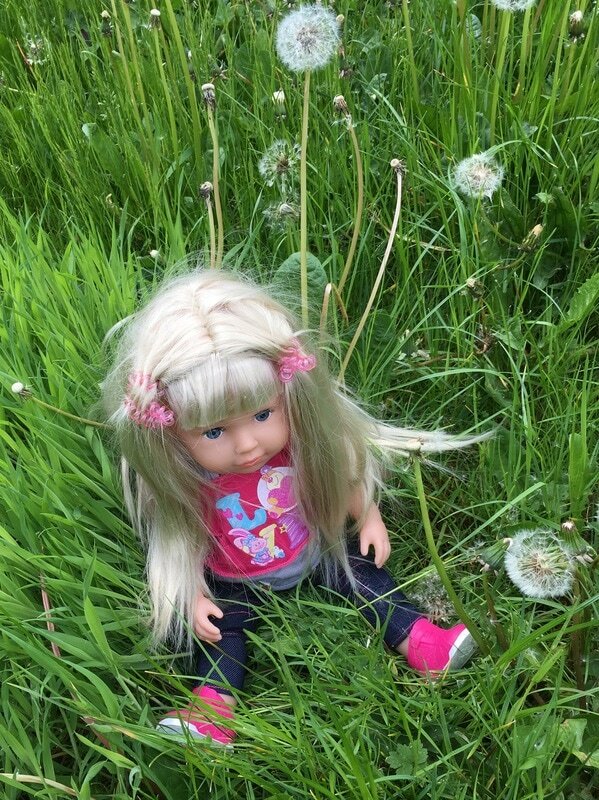 After a few hair makeovers poor Violet was looking like she’d been dragged through a hedge but the instructions do say that the dolls hair can be washed and a bit of fabric conditioner can then help brushing. She just needs some careful brushing and I had to tell my Daughter not to be a rough as she got a bit tangled. 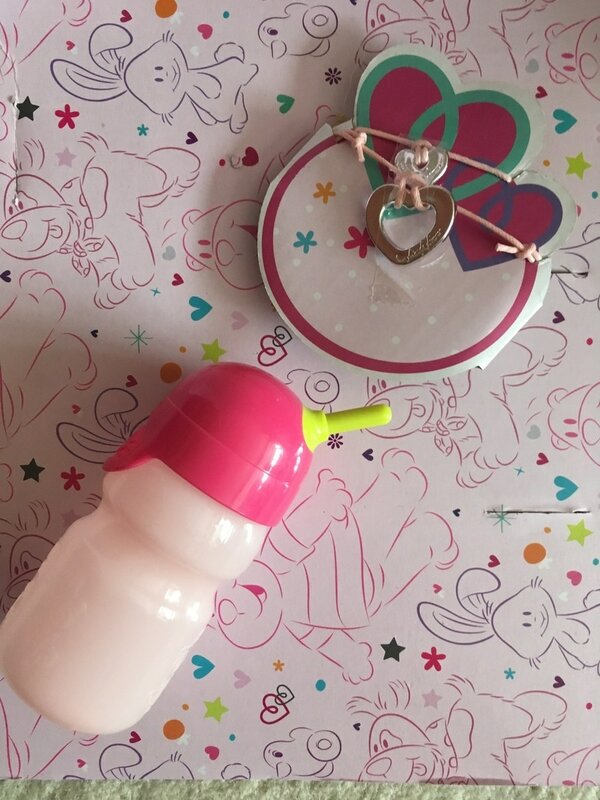 We haven’t yet bathed the doll but there’s instructions in the booklet explaining about closing the screw cap on the dolls back and carefully drying her hair. We’ll treat her to a bath soon if I can wrestle her away from my Daughter. With her jointed legs the Baby Born Sister can sit and stand on her own and we had her standing for her photoshoot in the garden. 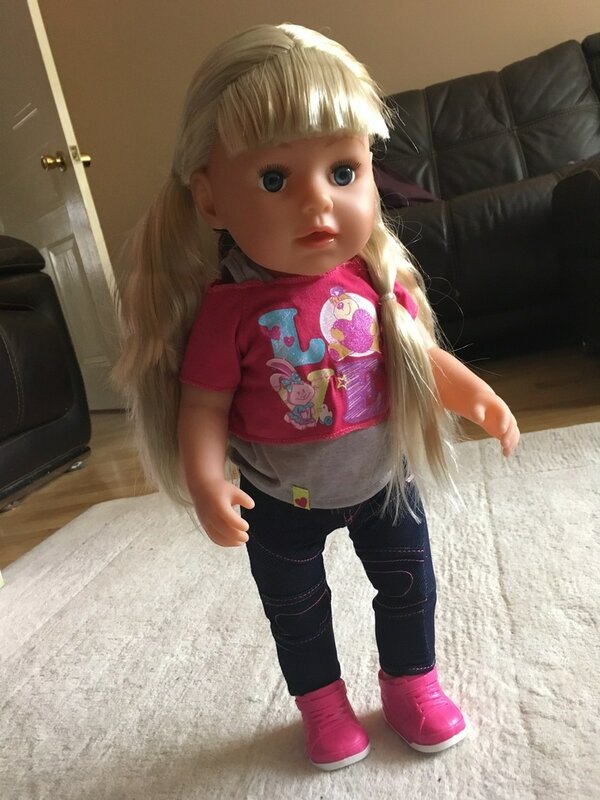 I think my Daughter is possibly more enthusiastic about this doll – she doesn’t have a real sister so this is the closest thing! 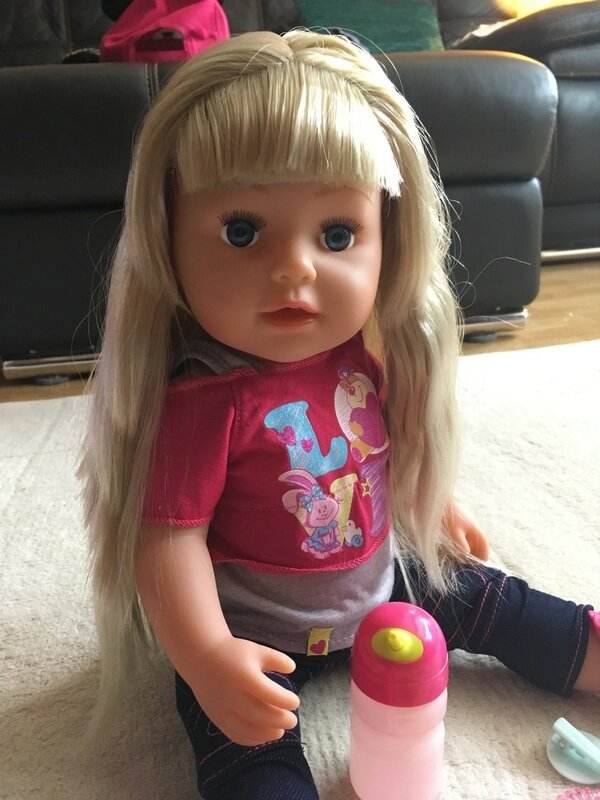 She loves her long straight hair and the fact that the doll won’t leak on her and has been involving her more in her pretend play. 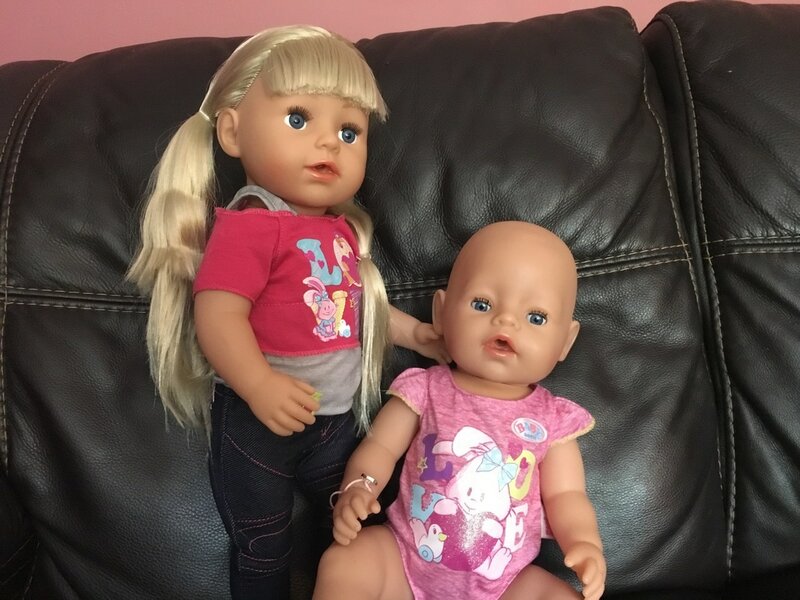 We were sent a Baby Born Interactive Sister doll in an exchange for an honest review. All views are my own.